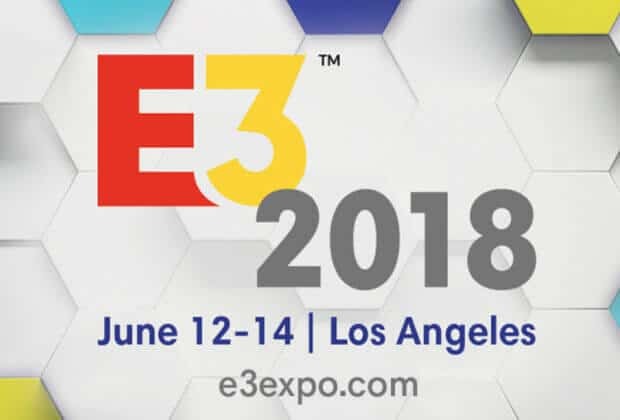 E3 2018 is nearly upon us and with it comes a stacked slate of press conferences from major publishers. Its the most exciting time of the year for gamers and almost all of the hype is concentrated in this handful of hours. Take a look below for the schedule of events that will lead up to the opening of the E3 show floor. I have a very strong feeling that we will be very busy after the EA press event. They are going to make announcements regarding Madden 2019, FIFA 19, and NBA Live 19. But, it is also entirely possible that they will announce further content for Star Wars: Battlefront II, or even another Star Wars game entirely. They could also announce a new Plants Vs Zombies or Sims game and it wouldn’t surprise me either. The unknown element in their conference is Anthem. We don’t know what their targeted ESRB rating is. If it ends up being rated T for Teen then it will end up being on our radar. Microsoft is undoubtedly going to announce a new Forza Horizon game. I also think that it is likely that they will announce something to do with Minecraft (they always do). But, aside from that, I have no idea what they will talk about and whether or not any of that will mean anything to us. It will be interesting to watch either way. I don’t expect that we’ll see anything for families from Bethesda. They focus on games for the mature crowd. The grown-ups in the house, however, might be interested in tuning into the news. The only game that we KNOW that they will be showing is a first-person shooter called Rage. They have a lot of games in the works though (many of which are unannounced) so we could see all kinds of cool stuff. Square Enix hasn’t held a major event at an E3 for years. This leads me to believe that they have big plans. I would expect that a good chunk of their live stream will be taken up by Kingdom Hearts 3. I know I’ll be excited to see more info, but I am REALLY hoping that they announce a release date. We should also see more information about the upcoming Tomb Raider game (not for the kids sadly) and more information about the next season of Final Fantasy XV DLC. The wildcard is Crystal Dynamics. They are working on an Avengers game that we haven’t seen anything meaningful about. I would think that a trailer would do very well considering the success of the recent Avengers movie, but I have no idea if it is ready or not. Ubisoft has already tipped their hand and revealed a good portion of their press conference. We can expect to see, per the Ubisoft Website, “Tom Clancy’s The Division 2, Beyond Good & Evil 2, Skull and Bones, Starlink: Battle for Atlas and Transference, along with content for For Honor.” The only family-friendly game on that list is the toys to life game Starlink: Battle for Atlus. They didn’t tell us, but I can’t imagine that they won’t have a goofy dance number to help announce Just Dance 2019. We can also count on them for a surprise or two. Last year they announced Mario + Rabbids: Kingdom Battle out of nowhere and blew us away. This event is not likely to give us much to talk about. It’s never done so before. The PC Gaming show has a very specific audience (who I am sure will be very excited), but it isn’t really us. This biggest reason being that there is no one company that will be making announcements. Sony has already come out and said that the bulk of their conference will be dedicated to Spider-Man, Days Gone, Ghosts of Tsushima, and Death Stranding. Spider-Man is a big deal as it looks like it will be one of the best family-friendly games to come out this year (assuming it lives up to the hype). The other three are all games for grownups. Sony did mention that they would have third-party announcements and indie games in their show, so there is still hope there. Nintendo closes out the major E3 events with their annual Digital Presentation. They have already announced that they will be focusing on games coming out this year. There will be a special focus on Super Smash Brothers for Switch. They announced it already, but I’m very excited to hear more details. All we know is that it exists. I would love to see a title, a release date, and a big portion of the roster as well. Smash isn’t the only game Nintendo will be talking about though. They already told us that a new Yoshi game will be coming later this year so I expect more details about that. There have also been rumors that a new Pokemon announcement is incoming. We’ll have to see though because Pokemon games can be difficult to predict.